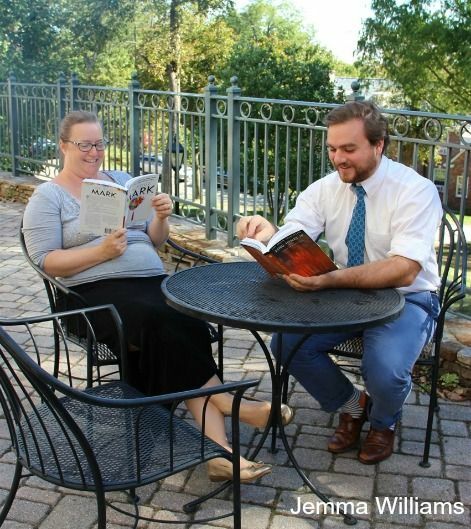 Alissa Davis, Chair of the English Department, and Alex Werrell, English teacher, read some of their favorites from the list. As the school year ends, many students and faculty turn to the Summer Reading Guide and its many reading suggestions. Both students and faculty have put thought into the books that go onto the list, and have read books from the list that they have enjoyed immensely. Kaitlin Forman ’20 read the required reading for the Latin III class, Imperium, by Robert Harris. She enjoyed it because, “It was a story instead of just the history, and I learned a lot about the Roman government.” Even if a book is a reading requirement for a class, it is still a good option for the three additional, chosen books. As summer approaches, it is also a good time to free read. Picarazzi said that, during a busy school year, read- ing is a break from other schoolwork and “is food for the soul and liberating: for me, it has become a luxury at any time of the year, one that is too easy to lose sight of in light of all of life’s other responsibilities.” Librarian Jenny Nicolelli empha- sized the importance of reading year-round: “Repeated studies demonstrate reading reduces stress, increases vocabulary, im- proves empathy, and keeps the brain in good shape as you age."